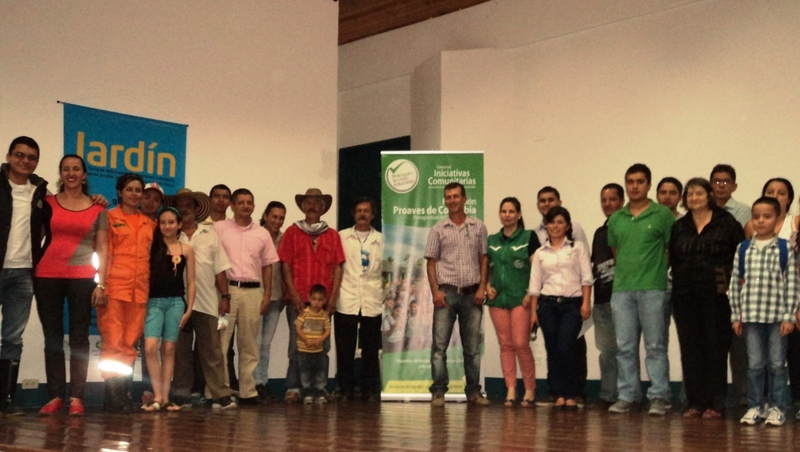 The Local System of Protected Areas in Jardín was created thanks to the initiative presented by ProAves and the Town Council of Jardín supported by the Universidad de Antioquia to the Government of Antioquia under the Community Initiatives Competition 2014. The creation of the Local System of Protected Areas Jardín – SILAP (for its acronym in Spanish) is a socio-environmental process focused on the conservation of biological, cultural diversity and the sustainable production of goods and ecosystem services essential for the economic, social and environmental development of the town of Jardín. In order to form the Local Committee on Protected Areas and to inform the community of the importance of the creation of the municipal SILAP, various educational, environmental and socialization workshops have been carried out since August 2014, in addition to community meetings and technical visits, TV and radio programs for the conservation of the environmental heritage of the town where more than 2.900 people have been involved and have participated in the different activities carried out under this initiative. The town of Jardín has around 14.500 inhabitants who will benefit in the short, medium and long term by the consolidation of information from protected areas at the municipal level and possible areas of reserves that might be founded in the future, which is summarized in protecting the ecological and cultural heritage of the town. The creation and strengthening of SILAP helps in the identification and definition of conservation targets of the town and the strategies to retain and attract public awareness of the importance and role of conservation of protected areas. This initiative benefits the 14.500 inhabitants of the town of Jardín strengthening the organization and management capacity, with the protection of environmental services and environmental heritage with emphasis on the forests and water.